Hello Beautiful People! It is the last day of the Year! 2017 was a very DRAMATIC YEAR. I have missed writing here. I wrote something I have been putting off for a very long time. Mental scars. Emotional scars. Psychological scars. Physcial scars. One night in July, I was coming back from work. It was raining. 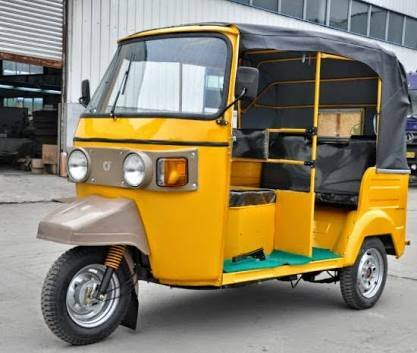 I stopped at the Ajah junction looking for a Keke that would take me down to my estate. 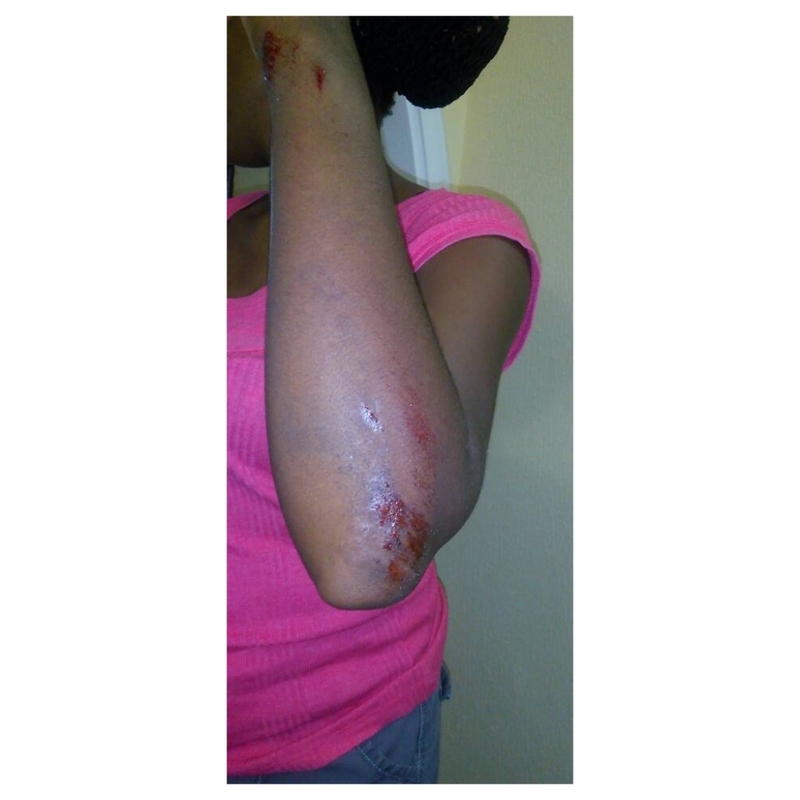 No keke stopped for me. It was unsual, but I figured it was the rain that made them Ignore passengers. After about twenty minutes of waiting under the rain, I finally found a keke. It was just one space left and it was in front. I hesitated because this one actually stopped for me! But I had been waiting forever, so I had no choice but to enter the front seat with the driver. 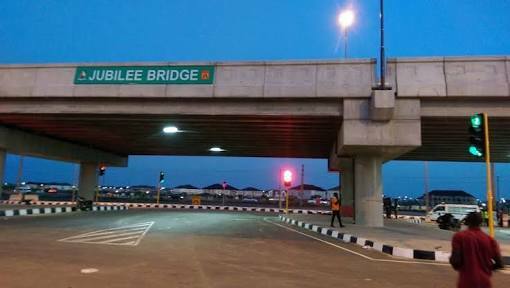 Few seconds into the journey I realized the keke was driving way too slow – driving towards the corner of the bridge. We were literally moving at the space of a snail. At the side of the wide bridge. I was uncomfortable. So many keke napeps were going way faster. All of a sudden, I had all the various fears splash through my mind. My friend just survived a ONE CHANCE experience. I was scared that these guys were going to take a turn and steal from me or inflict more harm. I was confused, I was not sure if I should trust my insticts or not. I was observing with my side eye when one of the men at the back reached for his pockets and in that moment I was sure they were bringing out a GUN! For fear of the unknown, I stepped out of the moving keke – or at least I thought I stepped out. I was wrong – I FLEW OUT OF THE KEKE and kept rolling on the coal tar. I banged my head. My glasses flew out. And I thought I was DEAD. I was sure I was dead. Every where was blank. Few minutes later, guys were all over, tapping me, carrying me. I remember screaming – LEAVE ME ALONE! LEAVE ME ALONE! Because these were the same guys I was trying to run away from. Anyways, they grabbed me. Sat me down. Calmed me down because I was screaming. I finally got into that same Keke and they took me home. I was so mad at the keke driver. First of all, he did not come down to see his wounded passanger. Second of all, he had the nerve to ask me when I got back – IF I WAS SLEEPING! Those guys were thieves. I am pretty sure. But friends, think about this. What if I rolled out in the middle of the road. And a car smashed my skull? The bridge where it happened. On top. Part 2. The Kindness of Strangers. My cousins rushed me to the hospital and I was treated and given tetanus injection. 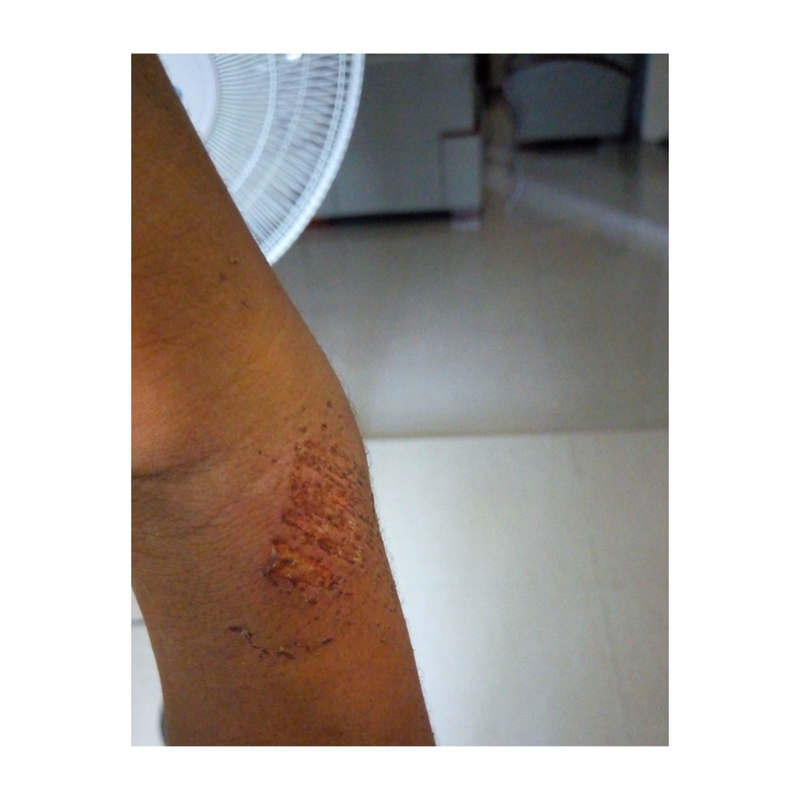 I went to the hospital few days later for checkup and for re-dressing of the wounds. When I was done, I limped out of the hospital waiting for A KEKE! Who else is laughing at me right now? Before I could explain that my house was just #50 keke away, she opened the door of her car and helped me in, saying she was going to drop me at home. I thought she was going to stop me in front of the estate gate but she insisted and took me right into the estate and dropped me in front of my house. The scars are still visible on my knees. I feel bad all the time. I have no idea when the scars will vanish like they were never there. My dad bought ABUBEKE – THE FAT OF A PYTHON SNAKE. I rub it on the scars as often as I can to heal the wound. I am no more in Lagos. For now. I was posted to Yenagoa campus for Law School. It was not my choice at all. And for a while, I felt like I was not healing mentally, emotionally, physically and pshcologically. I thought, perhaps, the reason for this prolonged healing is because I constantly felt as though my mind was a grave yard of and for broken things. Broken people. Broken dreams – that cut me at every turn. And every time I find myself healing or trying to heal, I feel another cut – and I start to fall. Bleed. Fall. I hit my knees on a surface and I am reminded of that dreadful night. I can not kneel. But I have since learnt to be patient with my healing and tend to my scars – physically, emotionally, mentally and psychologically. 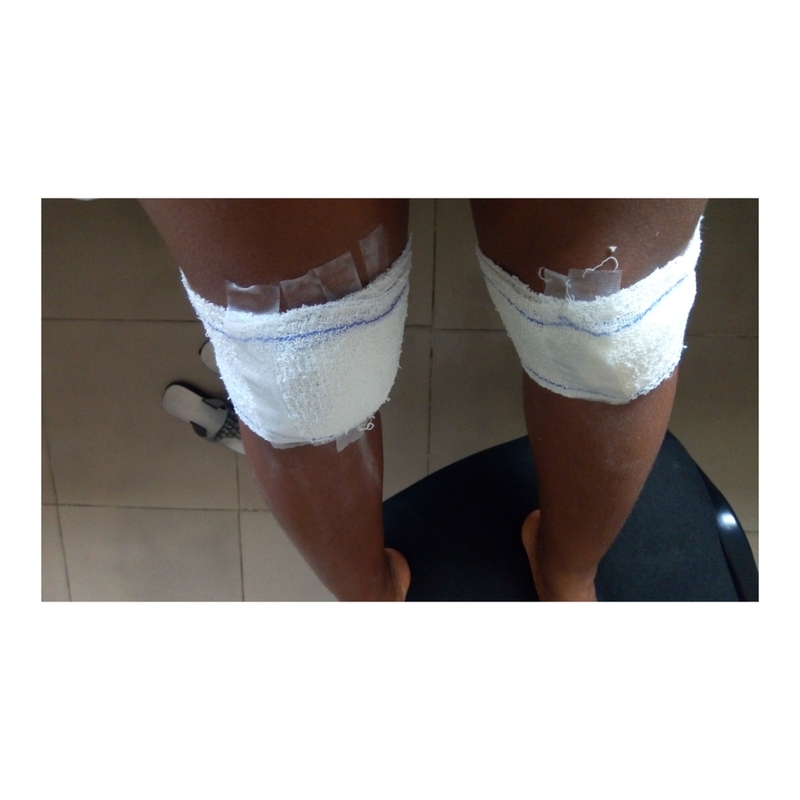 Titilope Sonuga taught me : THIS IS HOW TO HEAL A WOUND! 1) Cleanse with salt water. It is the only way to release the poison. The tears will come. Let them. 2) You will need a healing balm. The only cure for this pain is more love. Be generous in your application. 3) Do not cover it until it festers and rots. Speak it and let it go. Let it go. 4) Do not pick the scabs. And so when you see me surviving weeks, know that I tasted salt when I swallowed my tears. I dished out love. I opened the windows in my mind to let all the negative vibes go. And I am trying not to pick the scab. I try not to pick the scab. I tried not to pick the scab. Your Favourite Lagosian in Diaspora! 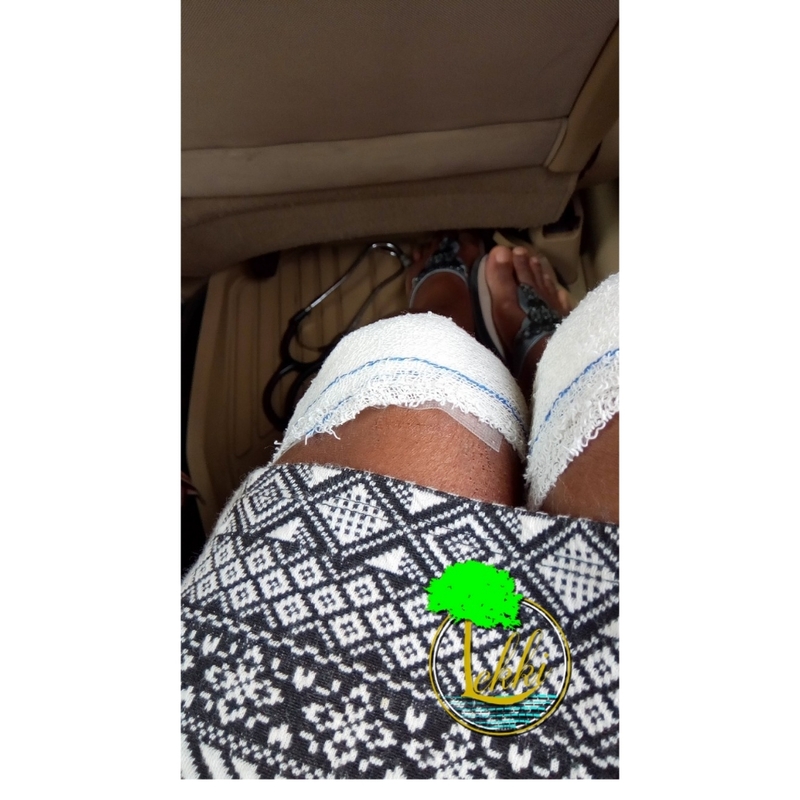 Posted in Diary of a Weary LagoscianTagged Healing, Keke Napep, Lagos Living, Lifestyle, Mental Health, ScarsBookmark the permalink. 2017 was a dramatic year. I loved the people I met during my internship. I got into Law school – not my preferred choice of campus. But I have amazing new friends. 2018 is for setting the Bar on Fire! I hope you enjoy this short piece. Of Scars. The Kindness of Strangers. Healing Wounds. And we were there through some of those moments… Ah, this particular one. May this year bring favour. May we not see any evil from our past. May each moment bless us, give us ease, peace and beauty always in Jesus name. Amen! We thank Aondo for the beauty of scars that remind us of life’s fragility, that wounds heal but memories remain. We thank Aondo for the kindness of strangers that tell us that life is kind, no matter what happens and that there are still good people everywhere. We thank Aondo for life that goes on. May this year smile more for you and for us all, always. Kind words Sueddie. Kind words. Amen and Amen!